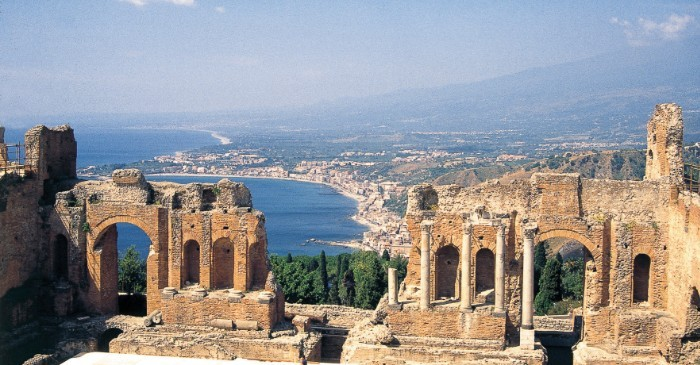 In my family, Sicily has always been one of those romantic places I never knew much about. Sure I’ve always wanted to visit, but with so many other wonderful places within the main “boot” I’ve just never thought about prioritizing a visit “way” down there. That is until this week. It seems, only through coincidence, that several friends have recently visited and have come home raving about unmatched beauty, the best food they have ever eaten and people that are warmer than the average Italian native. With all the recent discussion surrounding the topic, Sicily was definitely worth researching. So I began with my most reliable source, Uncle Joey. Over lunch I brought up the topic and his eyes immediately lit up with a sparkle I had not seen in awhile. “Oh honey, it’s the MOST wonderful place I’ve EVER been to!” I was surprised by this immediate enthusiasm. Uncle Joey has been to a lot of places. His heartfelt reflection alone seemed worthy of a trip. He went onto describe what was, at least in his memory, the best trip he had ever taken. The views were so picturesque, and water a color so blue, it was almost magical. He described the freshest fish and meat he had ever eaten, normally accompanied with an innately Sicilian dish called caponata. I had heard of this dish, but had never made it. We discussed the ingredients, what he remembered about the flavor, and I was sent off from our lunch with a task. 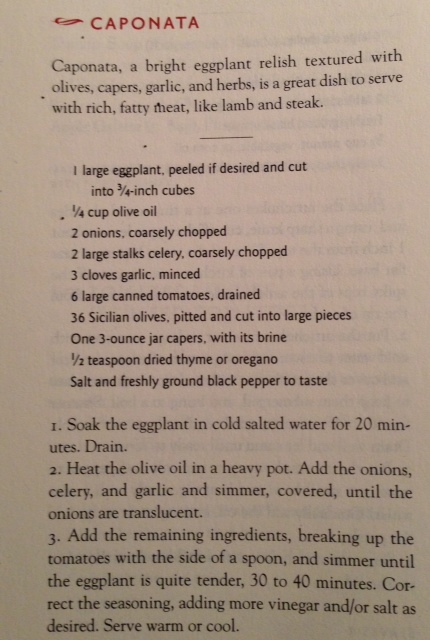 Make the caponata. If not to try something new, to perhaps bring back the flavor of Sicily that he so enjoyed. After researching several recipes, and an intense debate about with raisins or without, eggplant with skins or without, we settled on what seemed to be the closest match to what he remembered. No raisins, and half of the eggplant would remain with skins. 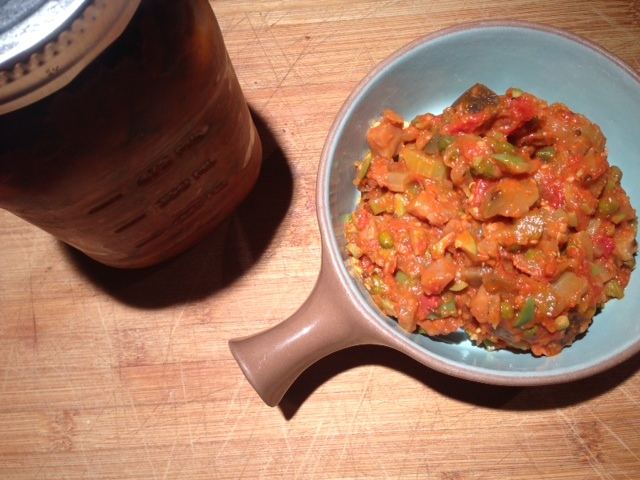 We went about chopping eggplant, olives, capers, and carefully salting the eggplant to remove all extra water. We sautéed layer upon layer until all ingredients happily settled into a low simmer. It’s a simple process that takes only a bit of patience. The finished product is one of the most versatile jars of yumminess that I have ever tasted. It’s delicious on crackers, with meat, on a salad or as a pasta sauce. While I’m sure this version is not nearly as delicious as what Uncle Joey had in Sicily, it sure was fun making it and dreaming, if even for a bit, that we might venture there some day soon. Next Post The Berlusconi effect and Italian Women. Ladies, get your act together.